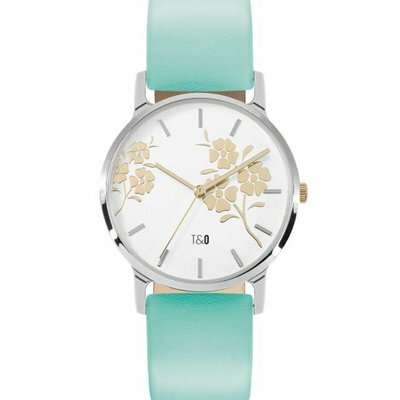 This Bloom 34 Leather Silver Turquoise Ladies Watch is a fun, yet elegant, timepiece that has a thin a sleek case paired with leather straps. 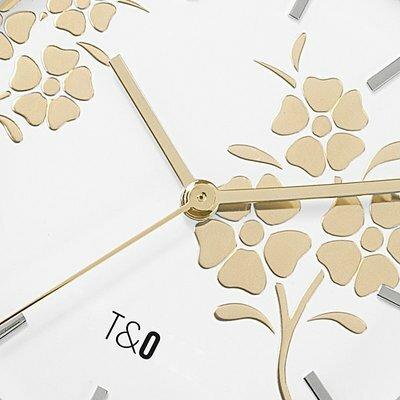 A feminine fashion accessory with a trendy and attractive black floral pattern, inspired by the enchanting Scandinavian surroundings. The beauty is in simplicity! With a range of 9 styles to choose from (Bloom 34 Collection), you are sure to find the right timepiece to suit your taste. The stylized elements of the watch show off the steel case enhanced by a genuine leather or mesh strap making an elegant statement and a novel addition to any watch collection. Tick and Ogle is packaged in a slimline eco-friendly travel box, making it the perfect gift for someone special.